Sheikh Zayed Road has always been the heart of Dubai connecting the Old and the New Dubai and joining the prime locations that are highly in demand for local and international investors, such as Downtown, Business Bay, JLT, Dubai Marina, etc. 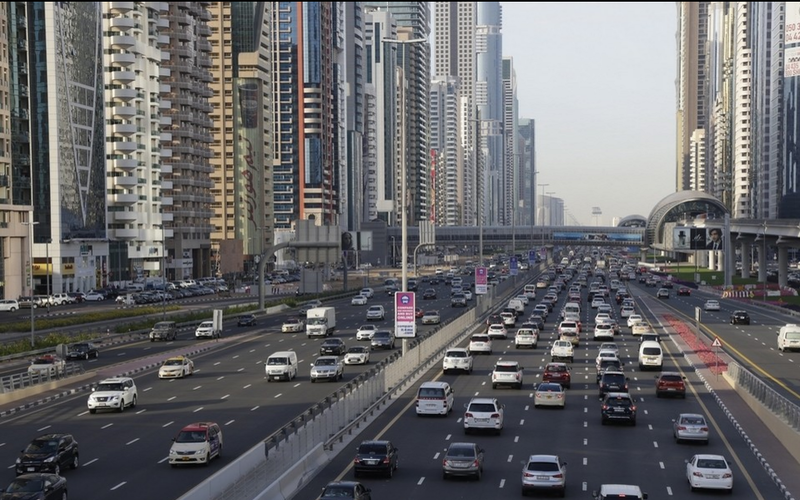 Many business owners consider Sheikh Zayed Road to be a landmark that adds value to their businesses since it is the most famous part of Dubai and the most accessible one through major and other types of transportation. Many expats tend to rent on SZR to gain access into few of the tallest residential towers ever built in the world. Renting an apartment there gives one a sense of a luxury lifestyle with fantastic 360° views of the city. Renting an apartment on Sheikh Zayed Road is a smart move for tourists and residents alike for many other reasons. Thanks to high-end hotel apartments that offer short-term rentals, it is easy for people to experience living in different towers throughout the year without having to be stuck in a one-year contract. Sheraton Grand is an example of a hotel apartment that offers one of the most luxurious suite-type rooms to rent on a short-term basis. Renting in SG gives one access to most of the hotel facilities with highly discounted prices. Therefore, people find that short-term rentals on SZR offer good value for money. Having the option of living on SZR makes it very easy to reach all other emirates since SZR is the main highway in the UAE. You can be on the beach in a ten-minute drive despite your location on SZR since the motorway has been built parallelly to the shoreline. Whether it’s Zabeel roundabout or the end of Jebel Ali, drive east, and you hit the shore. You can get from that same location into your favourite safari desert in another 30 to 45 minutes heading towards Al Ain, Hatta desert, Al Qudra desert, and much more. Abu Dhabi can be reached in an hour’s commute, which feels like less than half an hour considering the wide highways and the smooth drive. Neighbouring towns like Umm Al Quwain or Ajman can also be reached in the one to two-hour span, depending on how far north you’re travelling. 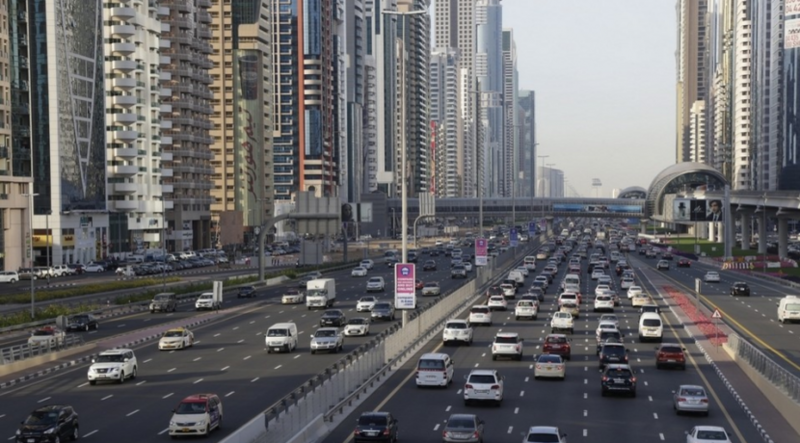 Another main advantage of living on Sheikh Zayed Road is that you don’t need to own a car, since Uber, Careem and Dubai taxis are available almost instantly and around the clock. Not to forget that the metro is a 10-minute walk away from you in most cases. The metro line service is mainly the backbone of Dubai transportation in a very cost-effective way, compared to other methods of transportation available in the city, which makes SZR the central hub for offices and retail outlets. Another advantage of renting on Sheikh Zayed Road is the diversity of different cuisines and restaurants available in the area considering it’s a high-tourist destination. The recently matured part of SZR, known as DIFC, hosts some of the most high-end and luxurious restaurants and has become a very upscale destination for Gala dinners, big events and fancy gatherings. In other words, you can never get bored of the same restaurants. The most popular eateries along the strip of SZR is the Arabic, Indian, Italian and Russian cuisines found inside the numerous hotels, or along the main road. A restaurant with any type of cuisine that your tummy desires can be found on Sheikh Zayed Road.